After two months of fundraising, a team of dedicated retro geeks have raised enough money to amass their Amigas in the world's first Videogames History Museum. Just under two months after creating a Kickstarter page to canvass financial support for their project, the curators of the proposed Videogames History Museum today hit (and quickly exceeded) their funding target. This success means that they can now get on with the business of transferring their 30,000 pieces of videogame history to a new, permanent site in Silicon Valley. The three people behind the project describe the museum as the "natural" progression of their work with the Classic Gaming Expo, a huge retro gaming event that they've been hosting together since 1999. They have high hopes for the museum, writing on their Kickstarter page that they hope to build something "all-inclusive," encompassing "every game made for every system, every piece of promotional material made for each game, every revision of every console with specific notes as to the differences, the design progression, etc." I'm having trouble even imagining walking around this place, mostly because I am so completely sold on the idea of seeing games like James Pond 2: Codename Robocod take their rightful place in the annals of gaming history. 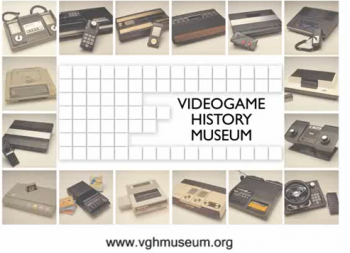 This museum would be among the first of its kind for games, archiving the evolution of the medium at the same time as allowing us to get closer to our old favorites than YouTube-trawling presently allows. Sadly, it won't be opening its doors for at least eight years, though the organizers say that the Kickstarter money will allow them to move much more of their collection around North America for display at gaming conventions and exhibitions.